Global knitted garments exporters from India. We knit all types of knitted fabric by German make 'Mayer & Cie' computerized circular knitting machines. We produce the flat knit collar and cuffs for Polo shirts by Japan make flat knitting machines with plain, birds eye and many more designs as per buyer's specifications. 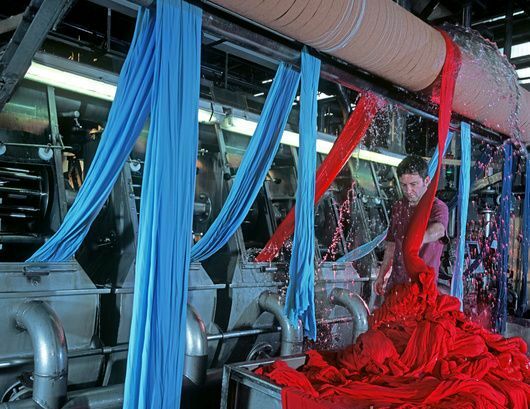 For fabric dyeing, we use the German make 'Thies' soft flow-dyeing machines with Azo free dyestuffs. For optical white fabric, we use the USA make 'Jemco' continuous bleaching and drying Range. To control the shrinkage of the garment, before cutting, we compact the processed fabric by American make 'Tube-Tex' compacting machine. We control the shrinkage below 5% in all type of knitted garments. For the embroidery work, we use the Japan make 'Barudan' computerized multi-head embroidery machine with maximum 9 colors. For Printing we use the Austrian make 'MHM' printing machine with Azo free print stuffs. For sewing work, we use the Japan make 'Pegasus' sewing machines with ballpoint needles. Ballpoint needle helps to avoid stitching holes on the garment. For stitching yarn, we use 3 ply spun polyester sewing yarn for extra strength. For pressing the garment, we use steam-pressing machines for a neater look. 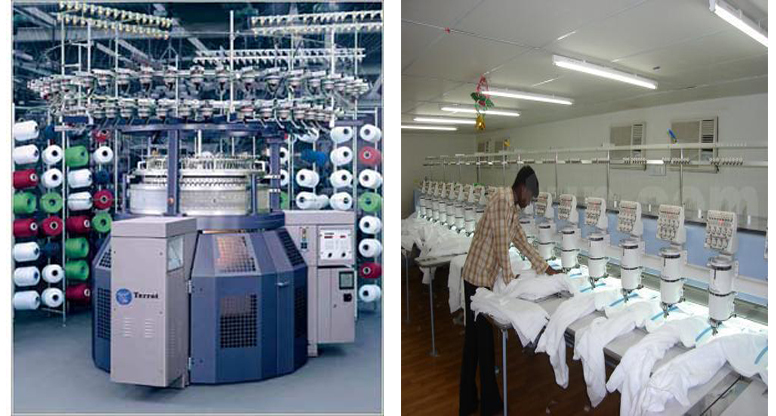 We pack our garments in high quality corrugated export cartons as per the instructions given. We generally maintain the Gross Weight of Each carton as not more than 20 Kg, which is suitable for handling.